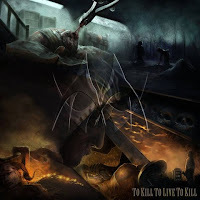 Δελτίο τύπου: «Danish thrash/power metallers, Manticora, are presenting the new album "To Kill to Live to Kill". This is the first part of another Manticora concept double-album, that will be released as two separate albums, one year apart. It´s based on the horror novel that was written by the lead singer, Lars F. Larsen, and the artwork resembles the stories of the novel. Video: "Echoes of a Silent Scream"
METALHEAD 26 Ιουλίου 2018 - 2:31 μ.μ. Υπάρχουν ακόμη αυτοί; Είχα να ακούσω το όνομά τους κάτι χρόνια. BALADEUR 28 Ιουλίου 2018 - 3:53 μ.μ. METAL BLOGGER 27 Ιουλίου 2018 - 9:29 μ.μ.